Originally titled The Circus is Coming and published in 1938, Circus Shoes grabs your attention right from the start and holds you till the end of the book. 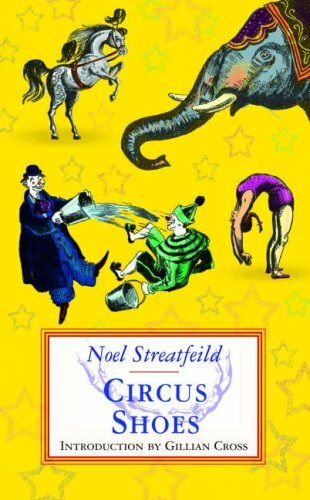 70 years on, Streatfeild’s words still have the power to make readers see and feel exactly what is going on, as well as enabling them to be literally part of the story as a kind of onlooker or bystander. The theme is not new: two children who are orphans run away and become part of a circus. But the detail in which things are described, with the excitement and romanticism dovetailing seamlessly with practicality and realism, make the book one that is still now readily believable and enjoyable. And as for the two children – they gradually become accustomed to the circus and its folk, with corners being rubbed off in the process by circus people who also have their fair share of foibles and fancies. Although this is a fairly lengthy book, it is well worth the read.